and summer and raise one yourself. plant and caterpillar in the glass jar. caterpillars like to eat is called a "host plant." eats you can easily starve it to death. smaller than the caterpillar so it can't crawl through. so watch for that as well. suitable sites to begin changing into butterflies or moths. much work to do during this period. sprinkle it lightly with water once a week. butterfly or moth in your jar. seconds for a butterfly to come out of its chrysalis! but they can not stay in captivity for long without dying. their adult life span is no more than four or five days. again, straight from your backyard or garden. 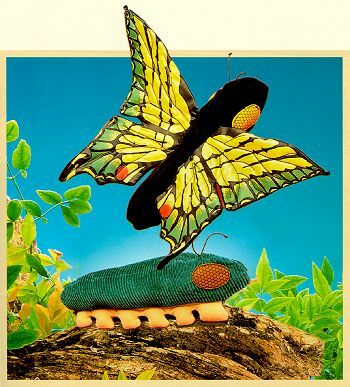 Plush Caterpillars - Take a Walk on the Wild Side!